Finally qualified for Gold for the first time after hops to the US and HK with the whole family and I have it until Sep 2019.Now that the requalifying is only 400 credits, what is the best way to requalify with minimal international flights and mainly through domestic flights on both the traingle route and to Perth? Flying indirect will help with getting the eligible sectors and extra status credits, if you are not in a rush and don't need the shortest flights. For example, Perth-Melbourne-Sydney and return will cost almost the same as Perth-Sydney direct, but will get you all four eligible sectors instead of two, and extra status credits for the Melbourne-Sydney leg. Going for Elevate fares over Getaway will increase status credit earn significantly, often for not that much more cash. Freedom and Business will earn even more of course, but they are substantially more expensive. 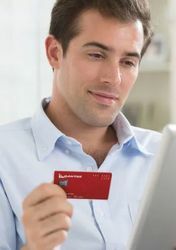 Shopping with Coles and Flybuys can help – I usually earn 3-4 status credits a month and it all adds up. Brandon is spot-on. Elevate fares can sometimes be as little as $20 more than Getaway fares, and on some routes (eg SYD-MEL) can earn three times the Status Credits. And Flybuys is particularly helpful if you have a family (ie. large grocery bills!). Two more small tips: buy Virgin gift cards from Coles to partly pay for your flights. Each $100 gift card purchased from Coles will potentially earn you 1 Status Credit (remember to scan your FlyBuys card!). Also look out for Flybuys promotions which give extra SC's (there have been two in the past 12 months). If you get stuck you can get 400 SCs on Hainan/Capital airlines for around $A2k business class return to mainland china. Also Etihad has ~same price/points for business Jakarta Rome until May next year. I've been using these deals to earn about half of the SCs for platinum each year and the remainder with domestic travel. Last edited by jch at Sep 07, 2018, 02.24 PM. Look our for Virgin Round the World airfares which is Virgin Australia and Virgin Atlantic. If you have a wife, you can do the family pooling option. We did a trip as a couple to NZ last year with her points and credits going into my account and it got e halfway to gold by itself. Like what others said; Do your shopping at Coles with Flybuys, Virgin gift cards at Coles, consider purchasing higher fare classes especially when on sale and take indirect routing. If you have a Velocity Platinum Amex, if you spend $50k in a membership year you earn 100 status credits. (If you don't have one and are looking to get one, feel free to inbox me for my referral code. You get extra Velocity points).